We offer a complete line of OEM & replacement radiators and cores. Hart Heat Transfer Products, Inc. offers our customers a standardized or custom solution. From one unit to a thousand, no job is too large. We welcome your inquiry that requires special design, engineering, and manufacturing. Units are available with fan drive options. 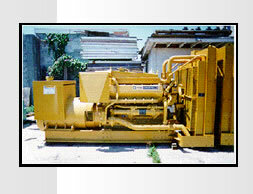 We provide environmental protection for extra harsh tropical, offshore, arctic, or other highly-corrosive atmospheres. We offer galvanized steel parts, solder-coated cores, epoxy coated systems, anodized aluminum product to fight corrosion and to extend the life of your cooling system.